Excellent opportunity on busy Yale Rd. in downtown Chilliwack. High traffic exposure. Entire building recently fully renovated! Features 2 storefronts & a 1 bedroom loft style apartment all on their own electrical meters. Features include a 1300 sq.ft. upscale apartment finished in 2009 currently tenanted, features modern concrete countertops & private separate entrance. 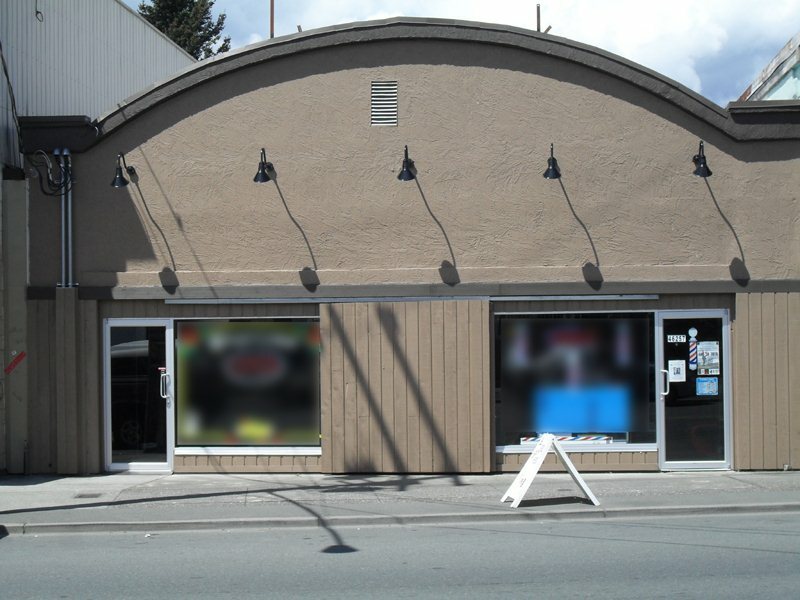 2 large ground floor storefronts with great street exposure. Retail storefronts have been finished with high end, quality finishing's. Additional large back area currently being used by one of the storefront units could be divided if desired, or can be used as large storage space with its own garage bay door. Plenty of parking at the back of the building & street parking out front. 4300 square feet of quality commercial & residential finishing. Businesses are not for sale. Loft and 1 storefront currently rented for a total of $1400 a month. The owner occupies the other 2 units.